In 2013, now Oscar-winning director Guillermo del Toro was thrown a sack full of money to make a huge blockbuster. He came back with Pacific Rim, an affectionate nod to Japanese monster movies in which giant creatures battled giant robots in the ocean. Now comes the sequel, Pacific Rim: Uprising, which follows very similar lines except gone is the wonderment that del Toro bought with his vision. Ten years after the battle of the Breach, Jake Pentecost, son of the hero of the day, Stacker Pentecost, is stealing parts from discarded Jaegers, the two-manned robots, to sell on the black market. Caught by the Pan Pacific Defense Corps, he is given two options, to go to jail or go to the PPDC and train new Jaeger pilots. Without much choice, he heads off to his old position much to the disgust of Nate Lambert, a highly regarded commander. As the training begins, a new threat appears and it seems to be coming from within. Pacific Rim worked, even though it was basically robots versus monsters mainly because of Guillermo del Toro. In order for him to make the films he wants to make (Pan’s Labyrinth, The Shape of Water) he is willing to make the films the studios want. Yet even these films have del Toro’s stamp all over them. This is a man who is like a kid in a toy shop and he wants to share his world with everyone. We didn’t get just robots versus monsters movie, we got a journey into the mind of a visionary director who obviously has a real affection for Japanese monster films and who wanted to make his own. This sequel has del Toro in the position of producer and so director Steven S. DeKnight takes the reins this time. This is his first film as a director (usually he acts as a producer, writer for TV shows like Daredevil and Spartacus) and he is no del Toro. You can really tell in the quality of the material on offer. It lacks that wonderment, that sense of scale, of cinematic grandeur that the original film had. It also lacks the affection behind it, so instead of a perfectly formed piece of popcorn fodder, we get a crash-bang-wallop blockbuster that looks somewhat dated considering where we have come to in the action movie genre. Forgetting about character development, relationships and plot, this is just another destruction movie where if it is a building made of glass and concrete and metal, it can be crushed by the creatures fighting. Various locations are set up for the fight scenes, whether it be in the glaciers, on remote islands or a huge metropolitan city full of skyscrapers, in order for everything around it to be turned to rubble while making as much noise as possible. So as Jaeger battles Jaeger (yes they’ve given a slight twist by having robots fighting each other) the soundscape is crushingly loud and the effects sometimes looking more like the kind you’d have found on the TV show Power Rangers, it gives the cast very little room to develop or form relationships that we can really care about. In the previous outing, we got to know the characters, could see the conflicts and the bonding and we cared. Here, that never happens, instead, all we are interested in is destruction and noise. 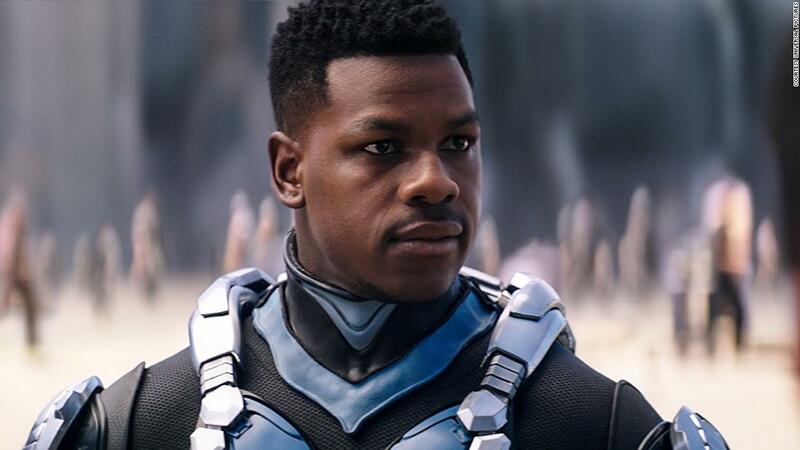 John Boyega, who is a likeable screen presence and is allowed to have his own accent here, virtually carries the film but even he seems to struggle. Playing the son (which we didn’t know existed) of Idris Elba’s character from the last film, he does his best but the script is so laden with cliches and lines we’ve heard a thousand times before, he finds it hard to get a footing to his role. As do all the humans, from returning Burn Gorman and Charlie Day as the quirky scientists to newcomers Scott Eastwood, looking and sounding more like his dad each movie, and young Cailee Spaeny as Namani, a young girl who makes her own Jaeger and is as independent as they come. 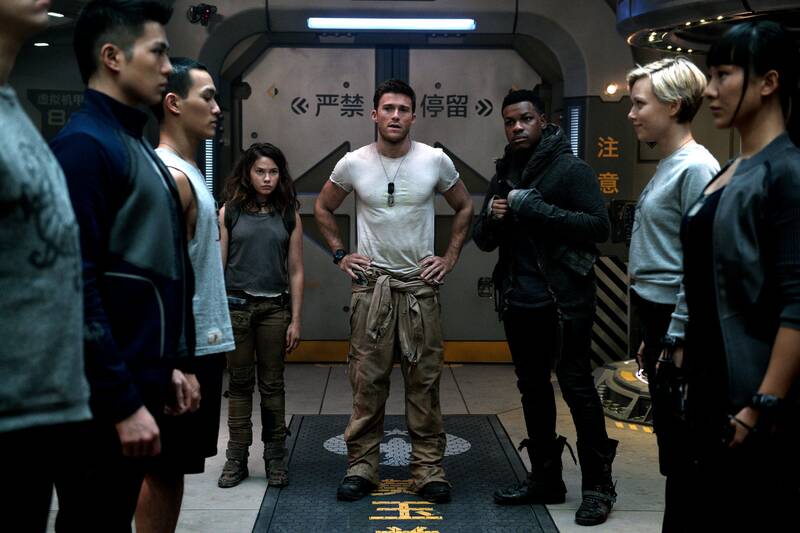 Pacific Rim: Uprising will disappoint those who loved the first film. If you are after undemanding silly nonsense, then this will do the trick but if you want the same feeling you got from watching del Toro’s original, then it falls very short of the mark. Having said that, it is miles better than any of the Transformer movies.